You got an invite to a Halloween costume party and you really want to go, but you don’t want to show up looking lame. No need to worry! We’ve got some of the best characters to help you dress up in style this Halloween. With a costume so close to the original character, it will look as if you stepped off a Hollywood set and right into the party! Take a look at the great lineup of characters with their outfits completely broken down just like you’ve come to expect from Famous Outfits. 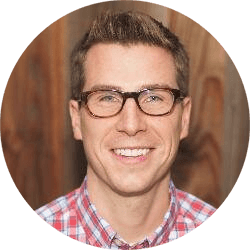 See how you can tranform yourself into the iconic Indiana Jones, Stephen Amell’s portrayal of the Green Arrow, the dapper teenager Tadashi Hamada from Disney’s Big Hero 6, Ryan Gosling’s character from Drive, and Jurassic World’s Owen Grady played by Chris Pratt. 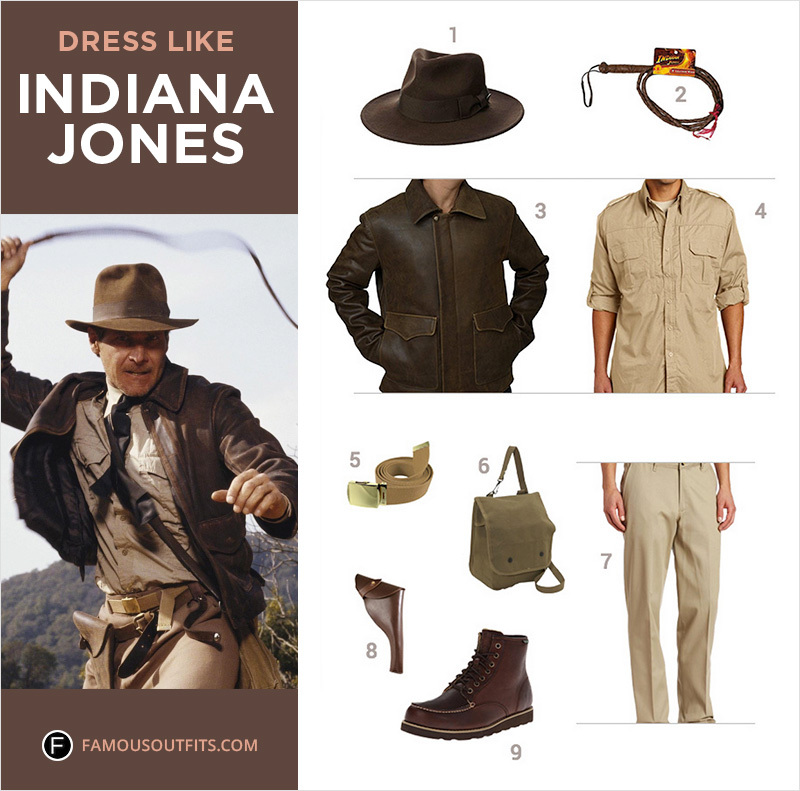 Get the costume to match the legendary archaeologist and adventurer Dr. Indiana Jones. Look like Indy from Raiders of the Lost Ark with a Wool Felt Outback Fedora and a Long Sleeve Tactical Shirt. Ensure you’re ready for the Temple of Doom with Riata Flat Front Khaki Pants, a Army Canvas Web Belt, and Eastland Lumber Up Boots. Dr. Jones’ style isn’t complete without the iconic Brown Genuine Leather Jacket. Bring along your trusty Leather Whip, British Webley Holster, and Canvas Map Case for an unmatched look at any Halloween party. Become DC Comics’ Green Arrow from the TV show Arrow starring Stephen Amell. 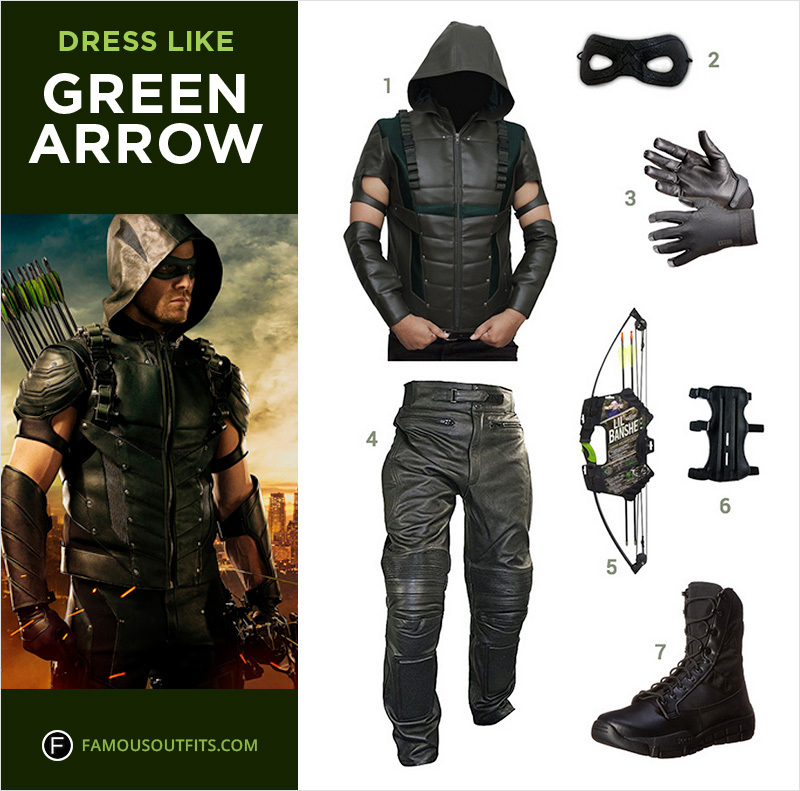 Dress up like the hooded crime-fighter from Starling City this Halloweeen with an Arrow Leather Jacket, Black Cowhide Leather Racing Pants, Green Arrow Eye Blinder, and Rocky C4t Ry008 Work Boot. Get the crime-fighting vigilante’s total look with a pair of 5.11 Taclite 2 Gloves, Cowhide Archery Arm Guard, and a Compound Youth Archery Set. 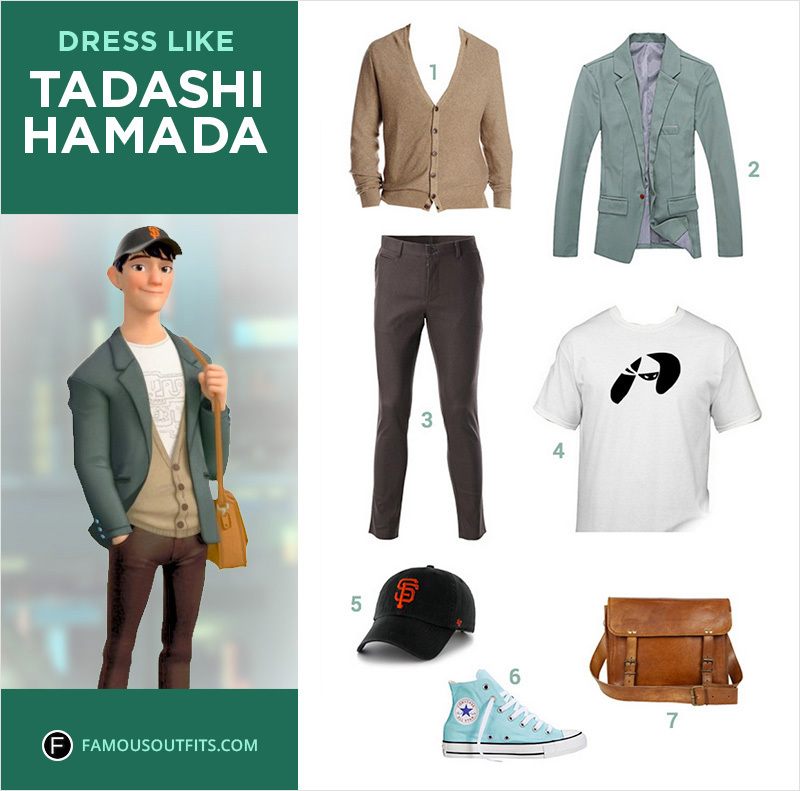 Dress up like you’re on your way to the San Fransokyo Institute of Technology as teenage prodigy Tadashi Hamada. Look just like Tadashi from Disney’s Big Hero 6 with a Ninja T-Shirt, V-Neck Cardigan, One Button Slim Fit Green Jacket, Slim Fit Chino Pants, and Converse Chuck Taylor All-Stars. To wear the costume right, you’ll need a San Francisco MLB ’47 Clean Up Adjustable Hat and Brown Leather Messenger Bag. With a look this good, even Baymax would be proud. Push Ryan Gosling aside and get the look of the Hollywood stunt performer turned getaway car driver from the movie Drive. No need to steal 40 grand to look good this Halloween. 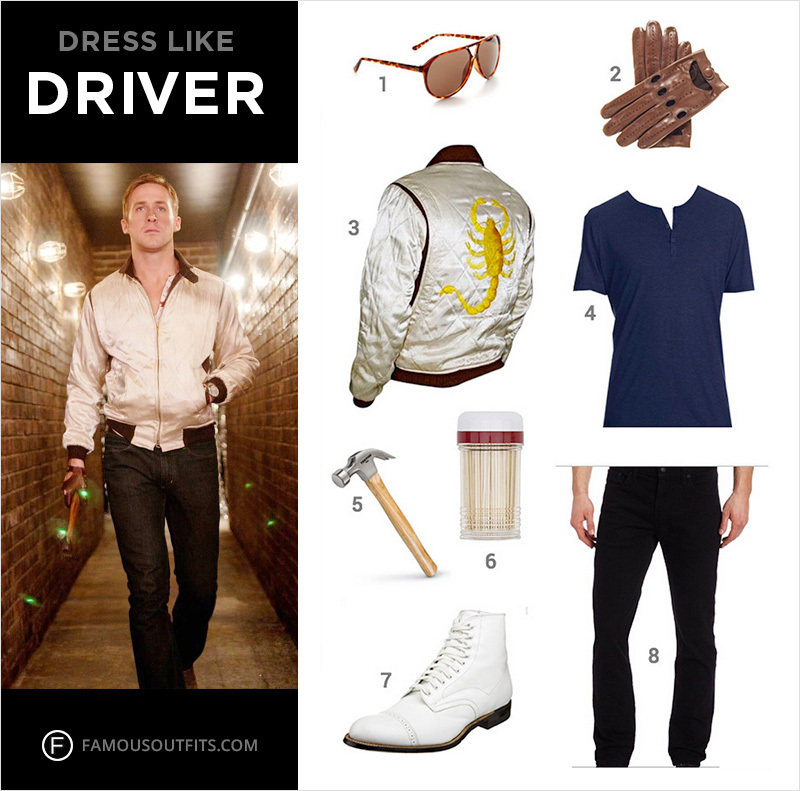 Create your own driver costume with a pair of Black Levi’s 511 Slim Fit Jeans, Triblend Short Sleeve Henley, White Satin Quilted Scorpion Jacket, and Stacy Adams Taupe Madison Boots. Peel out to the costume party in your Aviator Tear Drop Tortoise Glasses, Lambskin Leather Driving Gloves, and a Wooden Toothpick in your mouth. Bring along that Wood Claw Hammer just in case. For Halloween, step off the set of this summer’s blockbuster movie, Jurassic World, as Owen Grady. 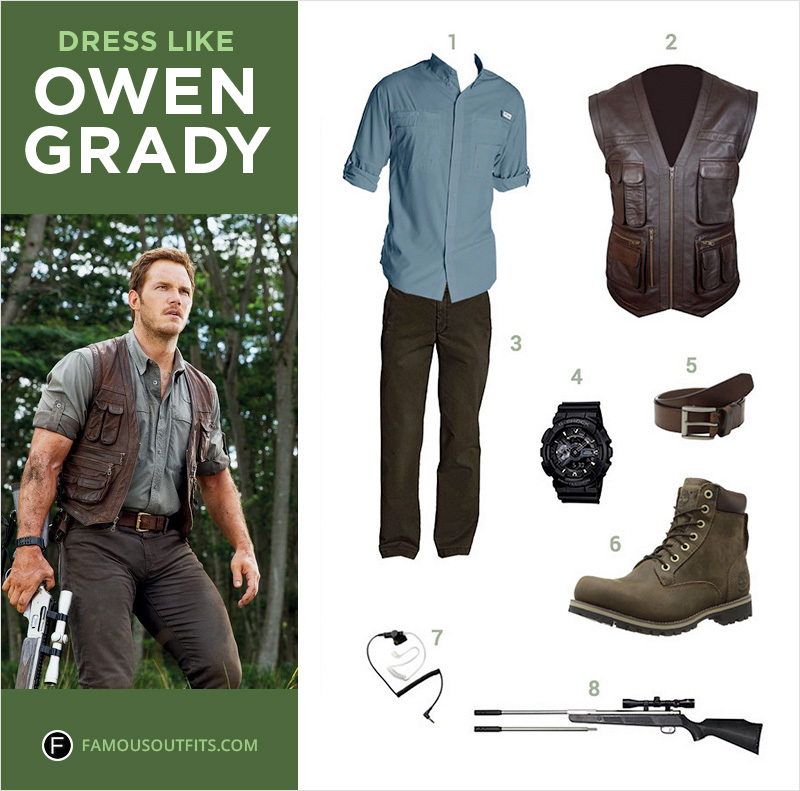 Suit up like the dinosaur trainer played by Chris Pratt with a Tamiami II Long-Sleeve Shirt, Genuine Leather Vest, Sand-Washed Straight-Fit Chinos, Dacey Belt, and Earthkeepers Rugged Boots. 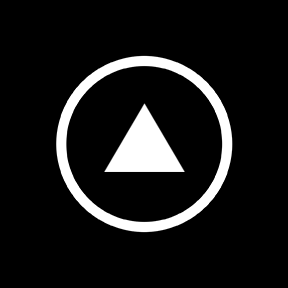 Look like you’re headed into the park with essential accessories like a Military Series Black Watch, Acoustic Earpiece, and X2 Dc Air Rifle. Take a look at our new site, Costume Wall, to see even more costume and cosplay guides for your favorite movie, TV, and video game characters for Halloween.